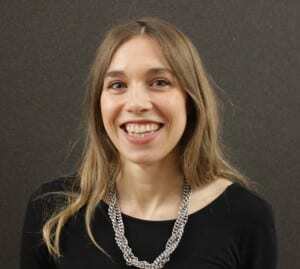 As part of our #UCLInspireMe series, Laura Davies, UCL Alumnus (BSc Human Science, 2013 and MSc Technology Entrepreneurship, 2014) and Operations Officer at BaseStone, talks to us about how she got this role and shares some tips for UCL students who want to get into the sector. I’m Laura, I am the Operations Officer at BaseStone. BaseStone is a tool for architects and engineers to capture and communicate data more effectively. It connects people and data in construction, reducing costs and mistakes on projects. I found out about the role through a mentor of mine. She knew the founder of the company and knew that they were looking for someone to help them grow the business. The majority of the team was made up of software developers so they were hiring for new employees on the business side. I chose this career because of the opportunities for growth. There was a huge amount of potential for me to develop my own skill set, confidence and abilities in so many areas. I think I recognised that the business was at a really interesting point – the technology was in demand by the industry and there were many customers in the pipeline. But there was a need for all of the pieces of the puzzle around the technology to be put in place – I wanted to be the person to do that! It was an exciting challenge and I knew that this would give me a breadth of experience like no other. I think working with the a team that care so much about what they do is my favourite part of the job. Everyone is so passionate about our mission – bringing change to the construction industry. We work very closely together so it really helps that we all get on! The work is also interesting. What we are doing is quite ground-breaking – we’re disrupting an ancienct industry. It’s really interesting to be part of the change. I get to go out on construction sites to visit our users. So I have been on Crossrail sites, seeing London’s future infrastructure being built which is pretty cool too. Biggest success in your role? I am really proud of the community we have built around what we are doing. As the industry is quite old fashioned, we’ve developed our own community of disruptors. We hold events to champion disruption and discuss the future of the built environment. The last event had over 120 attendees and caused a real stir in the industry. The biggest challenge is having to hit the ground running with things you’ve never done before. But technology is a really supportive industry – there are mentors, events, free courses and many meetup groups that you can get advice from. It’s a challenge but it pushes you to realise your full potential. It provides an excellent springboard for your career. Developing your network is the single most important thing. As I mentioned, the world of startups and technology is friendly and supportive. People will generally be happy to have a coffee or call with you if you reach out to them. So don’t be afraid to ask! I would recommend getting some experience in a startup before you jump right into one. I did the UCL Advances Summer Internship Programme in my second year of university. You get a paid internship for 8 weeks in a small company – I couldn’t recommend it highly enough. You can also develop yourself and build your skill set. I did the CodeFirst:Girls coding course which gave me coding skills that I still use today. There are many free courses like this in London, for both men and women to develop skills in tech. 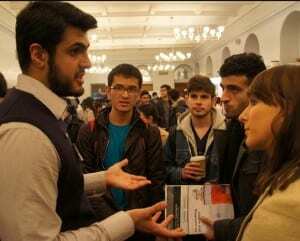 UCL Advances also do many events and workshops. 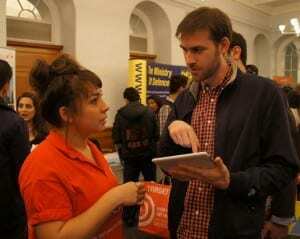 To find our more about working in a startup, either come in an speak to a Careers Consultant or visit UCL Advances. When I ask Engineers this question I get a reaction of disbelief. The question itself is too big and vague. No one is expected to define “medicine”. Engineering is all around us. This makes it hard to explain. Engineering is the act of manipulating science, materials and controlling resources including energy and managing the effects of the natural world in the way that a particular group need and want. This act of manipulating, controlling and managing can be of great benefit to Mankind. Engineering solutions are the natural output of human thought. Man has been an engineer since the beginning of human history. Engineering is the compromise between idealism, possibility and necessity. It has evolved through formal training to increase its efficiency and build on past experience. My time at UCL has confirmed the theory that Engineering is mis-understood as a discipline; and the way that non engineers describe it demonstrates this. The problem being solved can be big or small. But regardless of the scale of the problem, an engineer is always problem solving. This is reflected directly at UCL Engineering where the major strands to engineering demonstrate our “Change the World” ethos. Biochemical engineers scale up life science discoveries for use on a global scale…making medicines – from drugs to stem cell treatments – quicker to produce, more effective and widely available…they also use biological systems to generate other useful chemicals. Mechanical engineers study motion, power and heat transfer to build machines and tools for just about everything you can imagine…from oil rigs and Formula One cars to heart valves, robots, irrigation systems and satellite launch systems. Chemical engineers take raw materials, reactions and ideas and scale them up into sustainable solutions for large-scale production. Virtually, all manufacturing and processing uses chemical engineers, whether they make beer, fresh water, bullet-proof polymers or fuel. Electronic and electrical engineers make use of the properties of electricity and electromagnetism, from the scale of individual electrons right up to EM waves that cross planets…their work has brought us processing power faster than human thought, communications all over our planet and beyond, and revealed ever more about the world around us. Medical physicists apply the fundamental principles of physics to the cause of human health. They are behind many of the lifesaving procedures carried out by modern medics, informing diagnosis, treatment and the maintenance of human health. Computer scientists work in a massive range of activities – wherever there is computer/human interaction……from the basic instructions within processor cores, to the design of the buttons on a synthesizer app, to the algorithms which protect investment, or building minds that think for themselves. Civil and environmental engineers work with local communities, natural resources and structures from microscopic to interplanetary scales, to improve our surroundings and the way we fit into them. They design cities, buildings, transport, dams and much more. In my 2 years at UCL, I have worked with students and academics who are at the cutting edge of world class research into all these engineering areas. It has been a huge privilege to work here and to experience the inter-connected world of engineering at the academic level. Most of all I was able to work with UCL Engineering at the time that it is paving the way to enhancing the multi discipline collaborations (e.g. the introduction of the new Integrated Engineering Program (IEP) this year) as a response to the need to provide holistic engineering solutions to make the world finer place for all humanity. Deadlines for graduate schemes and internships are different from those you’re use to at university. You give yourself a huge advantage by applying well before the closing date. If engineering is the sector you aspire to work in, it pays to take action in September and October when applying for graduate jobs, internships and placements. Don’t be lulled into inactivity by ‘open’ deadlines and closing dates that fall later in the academic year. Did you know early graduate scheme applications give a numerical advantage? Engineering employers go out their way to stress the advantage students give themselves by applying before the deadline. There are few recruiters that wait until their graduate scheme is closed to start the recruiting process. The majority of recruiters assess their applications as and when they are submitted. The inevitable glut of last-minute applicants will face greater competition for fewer jobs than those early-bird applicants that have been organised and submitted theirs prior to the deadline. In some cases, engineering recruiters will succeed in hiring all the graduates they need before their official closing date, leading them to close the scheme early. If you see a graduate scheme or internship that you are keen to apply for, be prepared to apply as soon as possible. Don’t miss out on the opportunity to kick start your graduate career. 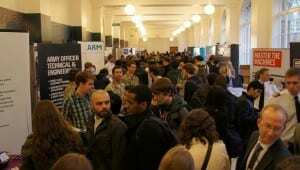 When are the deadlines for engineering graduate schemes? Many engineering graduate schemes give their deadlines as ‘open’. Treat these with caution – the fact that you are free to apply at any time does not necessarily mean that there will be a suitable job available. If in doubt, apply before Christmas for roles starting the following year. Among major engineering recruiters who do give closing dates, these tend to fall between December and February. Closing dates for industrial placements and internships can fall as early as November (e.g. British Sugar). December to February is more typical (New Year’s Eve is a favourite); a few close later.